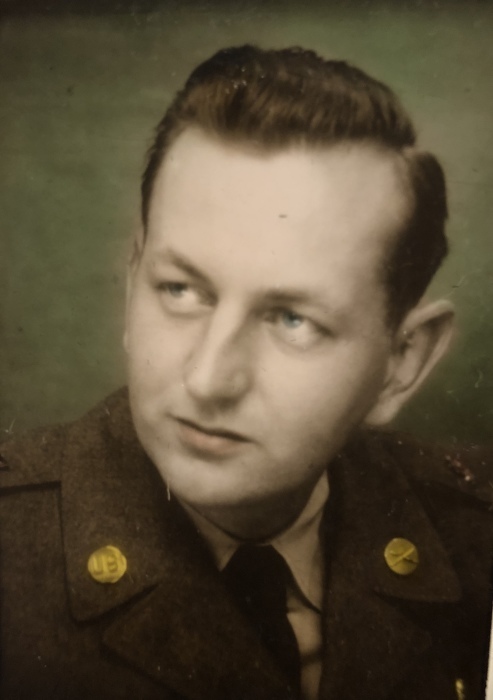 Joseph P. Stoeckeler Sr., fondly called “Poppy” by his grandchildren, passed away peacefully in the comfort of his home on Sunday, November 18, 2018. He was 87 years old. Joseph was born at the family home in Greenfield Park, NY on June 13, 1931; he was the son of Theodore and Romana (Gerer) Stoeckeler. Mr. Stoeckeler graduated from the Ellenville Central School District and furthered his education at NYU. He married Rose Marie Shields in 1958. Together they raised their family and enjoyed over 35 years of marriage until her passing in 1995. He entered into the United States Army and served during the Korean Conflict and was honorably discharged in 1962. Mr. Stoeckeler had a strong work ethic which started with his first job at Cohen's Bakery when he was 14 years old. He was a highly accomplished and well-respected Real Estate Broker and owner of Stoeckeler Real Estate since 1957. Along the way, he expanded his business to include real estate appraisals and the construction of Ridge Homes, selling over 200 homes in the early 1970s. Approximately 10 years ago, he expanded his business again to include the selling of seasoned firewood, taking over his brother's firewood business which started in 1952. He especially enjoyed his time at "the yard". He was a hard-working and humble man who was at the office every day by 9 AM and continued working up until his passing. In his leisure time, Joseph enjoyed going for a daily swim and vacationing at Ormond-by-the-Sea in Florida with his family. Joseph was very involved in his community. One of the highlights of Joseph’s political career was in 1959 when he met Robert Kennedy during the campaign for JFK. Joseph served as the Assessor for the Village of Ellenville as well as the Towns of Wawarsing and Marbletown. Mr. Stoeckeler served as the Town of Wawarsing Democratic Chairman from 1960-1970 and was an alternate to the Democratic Convention in 1968. He was appointed by the Governor to the NYS Alcoholic Beverage Commission for Ulster County, a position he held for over forty years. He served as a chairman of the Ellenville Community Hospital Board of Directors in the early 1990’s. Joseph was also a member of the Knights of Columbus and a communicant of the Church of St. Mary and St. Andrew. Mr. Stoeckeler is survived by his children, Mona Stoeckeler and her companion Brian Schug Jr., Joseph P. Stoeckeler Jr. and his wife Theresa and Michael C. Stoeckeler and his wife Dawn; his grandchildren, Kelly (Mike), Keith (Andrea), Joseph, Katie, Erica, Daniel (Lissett), James, Michael and Emily Rose; great-grandchildren, Harper, Caden, Paul and Ella; his companion of 20 years Dolores Saver and her children Todd, Scott, and Dawn; his sister-in-law, Barbara Stoeckeler; his nephew Bill and nieces Linda, Suzanne and Maryann. In addition to his wife Rose Marie, Joseph was predeceased by his son Paul Mahoney; and siblings, Charles, Theodore, Leo, William, Rose and Pauline. Visiting will be held on Tuesday, November 20th from 5:00 to 8:00PM at Loucks Funeral Home, 79 N. Main St., Ellenville. A Mass of Christian Burial will be celebrated at 10:00 AM on Wednesday, November 21st at The Church of St. Mary and St. Andrew followed by burial in Fantinekill Cemetery. In lieu of flowers, contributions can be made in Joseph’s name to the Ellenville Regional Hospital, 10 Healthy Way, Ellenville, NY 12428.